Published Thursday, August 3, 2017, OK personal/derivative use; link www.lovethatimage.com. 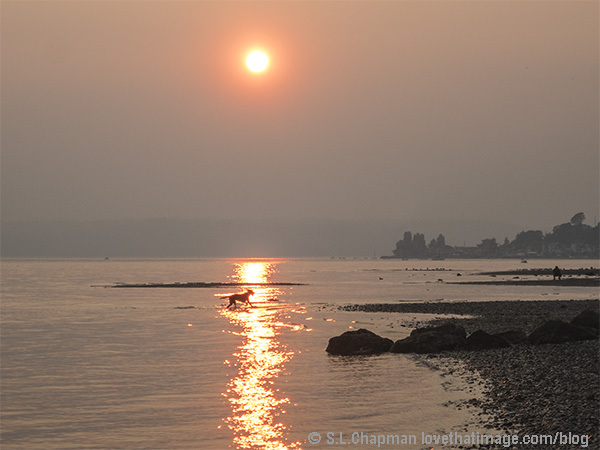 Before the fires in British Columbia, Canada started making Seattle air so smoky (see post below), last week saw sunny skies in Seattle. 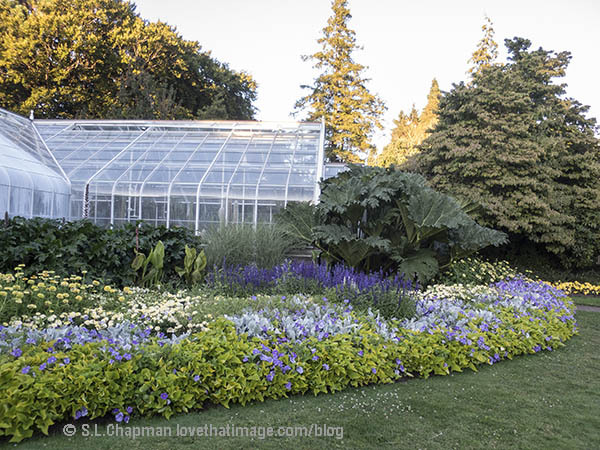 Here is a photo of one of my favorite places in the world, Volunteer Park Conservatory, at the end of the day. 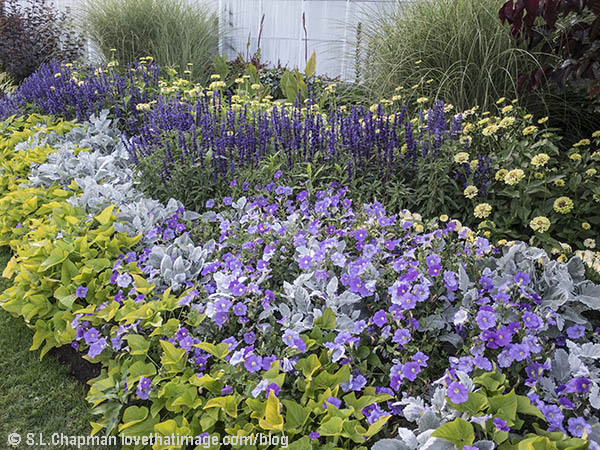 The outside plantings this season are especially gorgeous, and these photos don’t do them justice. Love that purple and chartreuse! Bonus flowerbed close-up image below. The east wing of the Conservatory, with some HUGE gunnera leaves outside. Connecting up with Our World Tuesday, Tuesday’s Wordless Wednesday, Outdoor Wednesday, Floral Bliss Wednesday, Floral Friday, Friday Just Be, and Pink Saturday. If only one photo is showing, please click on Sara’s Fave Photos Blog above to see a few more. Thanks for visiting! Published Saturday, July 29, 2017, OK personal/derivative use; link www.lovethatimage.com. 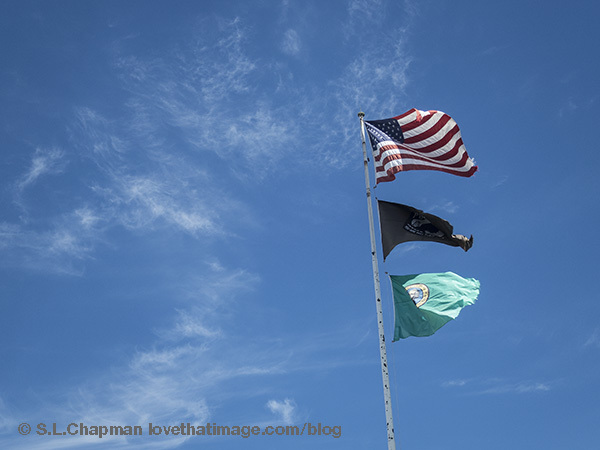 The town of Sequim (pronounced skwim! 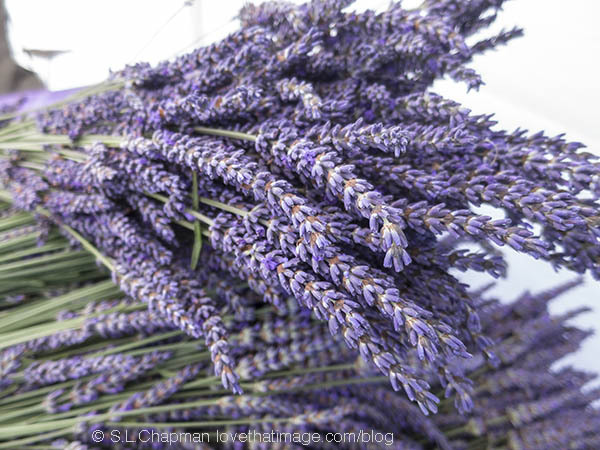 ), WA has a lavender festival every year. They also have some wonderful street art. 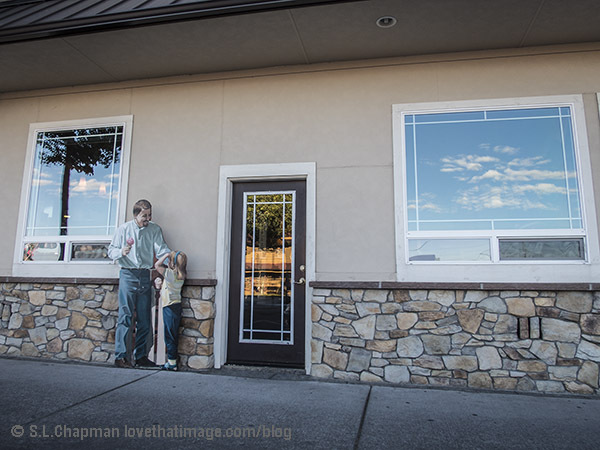 Linking to Our World Tuesday, Tuesday’s Wordless Wednesday, Outdoor Wednesday, Orange You Glad It’s Friday, Skywatch Friday, Weekend Reflections, and Pink Saturday. If only one photo is showing, please click on Sara’s Fave Photos Blog above to see a few more. Thanks for visiting! Published Thursday, July 27, 2017, OK personal/derivative use; link www.lovethatimage.com. 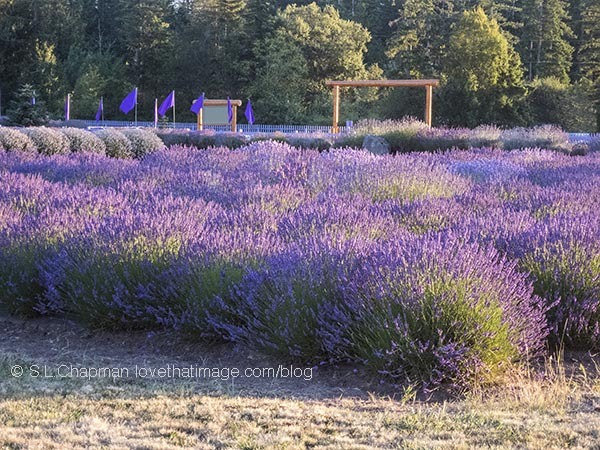 The Sequim Lavender Festival in Washington is so scenic! Connecting up with Our World Tuesday, Tuesday’s Wordless Wednesday, Outdoor Wednesday, Floral Bliss Wednesday, Floral Friday, Friday Just Be, Shadow Shot Sunday 2, and Pink Saturday. If only one photo is showing, please click on Sara’s Fave Photos Blog above to see a few more. Thanks for visiting! Published Tuesday, July 25, 2017, OK personal/derivative use; link www.lovethatimage.com. Just got back from the Sequim Lavender Festival on the Olympic Peninsula in Washington. Oh, such fun. Fresh lavender in bunches at the Graysmarsh Farm booth next to my Love That Image Glass Tile Jewelry booth. They had yummy berries, too! Posting on Our World Tuesday, Macro Monday, Tuesday’s Wordless Wednesday, Outdoor Wednesday, Floral Bliss Wednesday, Floral Friday, Friday Just Be, and Pink Saturday. If only one photo is showing, please click on Sara’s Fave Photos Blog above to see a few more. Thanks! Published Wednesday, July 19, 2017, OK personal/derivative use; link www.lovethatimage.com. I love string beans. They were my mom’s favorite vegetable, too. So fun to pick from the garden. Side note: When you cook the purple ones, they turn regular green and taste just like the green ones. 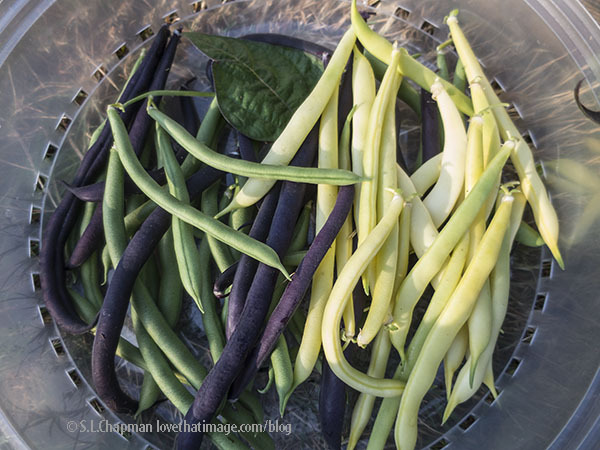 Purple, regular and yellow wax beans begin their summer abundance. Linking with Our World Tuesday, Macro Monday, Tuesday’s Wordless Wednesday, Outdoor Wednesday, Shadow Shot Sunday 2, and Pink Saturday. Try using the Search box at right to see some other photos here. Thanks for visiting and please come back soon. Published Sunday, July 16, 2017, OK personal/derivative use; link www.lovethatimage.com. 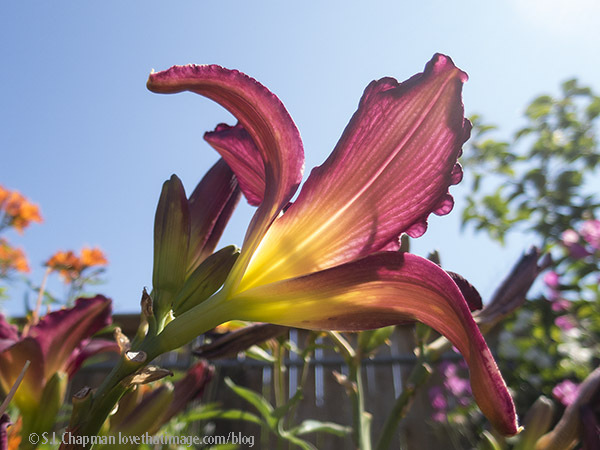 Day lilies decorate our blue July sky. 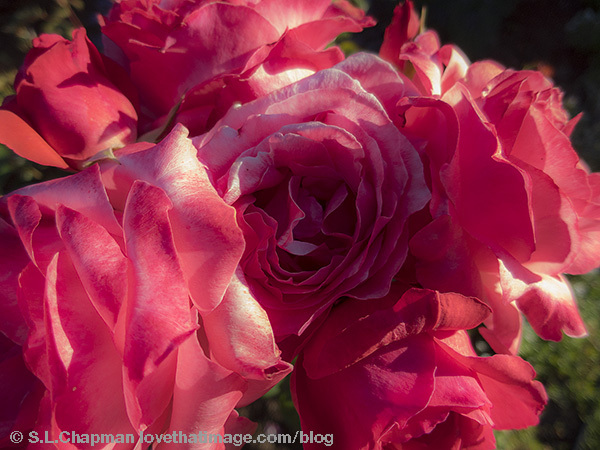 Linking up with Our World Tuesday, Macro Monday, Ruby Tuesday 2, Tuesday’s Wordless Wednesday, Outdoor Wednesday, Floral Bliss Wednesday, Floral Friday, Friday Just Be, Shadow Shot Sunday 2, and Pink Saturday. Click on the curly letters of Sara’s Fave Photos Blog above to see some other photos here. Thanks for visiting and please come back soon! Published Wednesday, July 12, 2017, OK personal/derivative use; link www.lovethatimage.com. My daughter is “crafty.” She saw all the lavender I have growing and decided we should make a wreath. 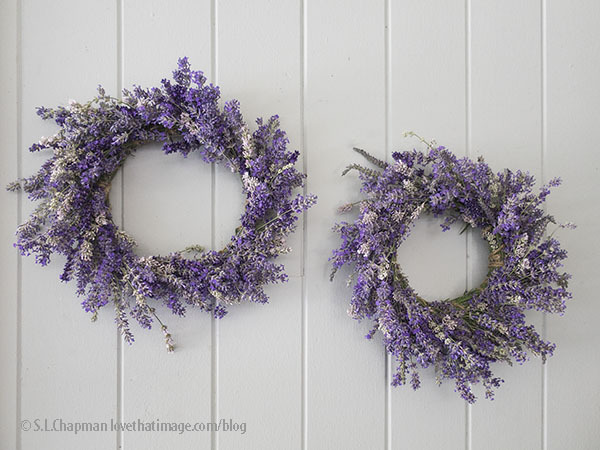 She cut some willow for the base, tied it into a circle with jute twine, then added overlapping bunches of the fresh lavender while wrapping the twine. It worked! Here they are in my carport, drying. 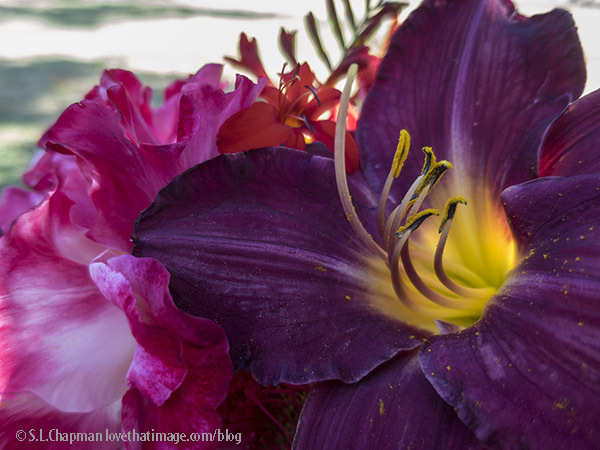 Linking up to Our World Tuesday, Macro Monday, Tuesday’s Wordless Wednesday, Outdoor Wednesday, Floral Bliss Wednesday, Floral Friday, Friday Just Be, and Pink Saturday. If only one photo is showing, please click on Sara’s Fave Photos Blog above to see a few more. Thanks! Published Monday, July 10, 2017, OK personal/derivative use; link www.lovethatimage.com. 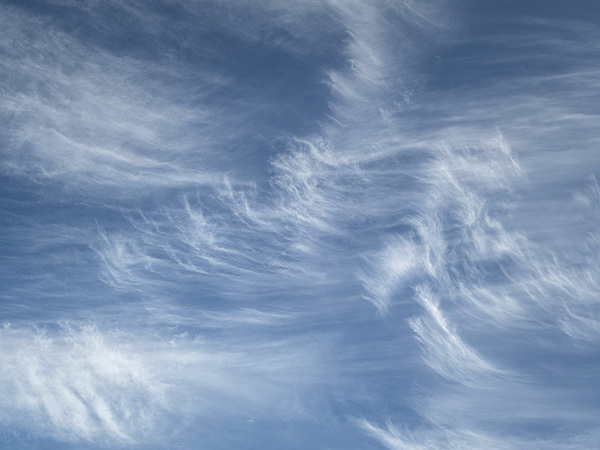 Seattle has had some magnificent clouds lately. Joining Our World Tuesday, Tuesday’s Wordless Wednesday, Outdoor Wednesday, Wordless Wednesday, Skywatch Friday, Friday Just Be, and Pink Saturday. If only one photo is showing, please click on Sara’s Fave Photos Blog above to see a few more. Thanks for visiting! Published Sunday, July 9, 2017, OK personal/derivative use; link www.lovethatimage.com. I picked a bouquet of mostly red flowers today. ‘Double Delight’ rose, a very dark burgundy day lily, and a little ruby red ‘Lucifer’ crocosmia in my back yard, for you. Joining Our World Tuesday, Macro Monday, Ruby Tuesday 2, Tuesday’s Wordless Wednesday, Outdoor Wednesday, Floral Bliss Wednesday, Floral Friday, Friday Just Be, and Pink Saturday. Try a new tag or category at right to see some other photos here. Thanks for visiting and please come back soon! Published Tuesday, July 4, 2017, OK personal/derivative use; link www.lovethatimage.com. She’s a little tattered, but she’s up there, and we love her, above all others. Happy Fourth of July! Connecting up with Our World Tuesday, Ruby Tuesday 2, Tuesday’s Wordless Wednesday, Outdoor Wednesday, Wordless Wednesday, Skywatch Friday, Friday Just Be, Shadow Shot Sunday 2, and Pink Saturday. If only one photo is showing, please click on Sara’s Fave Photos Blog above to see a few more. Thanks for visiting! Published Monday, July 3, 2017, OK personal/derivative use; link www.lovethatimage.com. ‘Fragrant Cloud’ blooming in my garden. 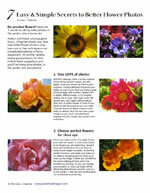 Floribunda roses have many flowers on one main stem. Posting this on Our World Tuesday, Macro Monday, Ruby Tuesday 2, Tuesday’s Wordless Wednesday, Outdoor Wednesday, Floral Bliss Wednesday, Floral Friday, Friday Just Be, Shadow Shot Sunday 2, and Pink Saturday. Try a new tag in the tag cloud at right to see some other photos here. Thanks for visiting!